James Harbert is the head of the firm’s employee plans practice. His practice covers the full spectrum of employee plans matters, including the defense of employee plan fiduciaries and sponsors in litigation and governmental investigations. Mr. Harbert is also regularly engaged by actuaries and other employee plan professionals for the defense of professional liability claims involving employee plans. Mr. Harbert started his career as a trial attorney for the U.S. Department of the Treasury, representing the Commissioner of Internal Revenue in civil tax cases. Since entering private practice, Mr. Harbert has continued his tax litigation practice and his engagements have included cases in which he uncovered governmental misconduct and overreach. His discovery of an abuse of a state grand jury in one case led to suppression of key parts of the State’s evidence and removal of the State’s lead lawyer. In another, he successfully blocked the federal government's attempt to obtain access to secret grand jury testimony for use in civil litigation against his client. In addition, he won a rare attorneys’ fee award against the federal government for its overreach in the pursuit of an unjustified lawsuit. Mr. Harbert began his legal career as a trial attorney with the U.S. Department of the Treasury. 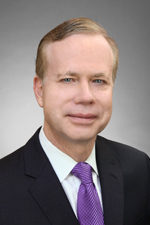 He has been in private practice since 1982, joining Hinshaw & Culbertson LLP in May 1988. Big Shoulders Fund Director's Award, presented by the late Joseph Cardinal Bernardin, for pro bono legal work in support of inner-city Chicago Catholic schools. Lead counsel defending an ESOP trustee in a case in the U.S. District Court for the Northern District of Illinois, brought as a class action by participants of an ESOP, alleging that the trustee breached his fiduciary duties under ERISA in approving a sale of assets to another company in the course of liquidating the plan sponsor company. Lead counsel defending an actuary in a case in Illinois state court brought by the trustees of a multiemployer defined benefit pension plan alleging professional malpractice arising from the use of a particular actuarial asset valuation method to value the assets of the pension plan. Lead counsel defending an actuary in a case in the U.S. District Court for the Northern District of Illinois in a suit alleging that the actuary was a fiduciary under ERISA who breached those duties with respect to a defined benefit pension plan that had been funded in part with life insurance. Lead counsel defending a Fortune 100 communications company in a case in the U.S. District Court for the Northern District of Illinois, alleging claims of breach of fiduciary duty and wrongful denial of life insurance benefits. Co-lead counsel defending a manufacturing company in a case in the U.S. District Court for the District of Minnesota, alleging claims of breach of fiduciary duty and wrongful denial of benefits under a executive long-term deferred compensation incentive plan. Co-lead counsel defending a Fortune 100 consumer retail company in a case in the U.S. District Court for the Northern District of Illinois, alleging a wrongful denial of medical benefits and COBRA continuation coverage. Lead counsel representing a closely-held corporate taxpayer in a case before the Illinois Department of Revenue Administrative Hearings Division that had been proceeded by a grand jury criminal investigation. On a motion following the discovery of the State’s abuse of the grand jury, the Administrative Law Judge removed the State’s lead lawyer from the case and suppressed key parts of the State’s evidence. Lead counsel representing a low-income housing developer in a case in the U.S. Tax Court, challenging the government’s denial of low-income housing credits. Lead counsel representing a corporate officer in a case before the Illinois Department of Revenue Administrative Hearings Division in a case alleging a reckless failure to ensure that corporate sales and use taxes be paid and personal liability for the taxes, penalties, and interest. Lead counsel representing a widow in a case in the U.S. Tax Court with parallel proceedings in the U.S. District Court for the Northern District of Illinois, challenging the government’s denial of innocent spouse relief with respect to the tax liability of her deceased husband. Lead counsel representing a corporate officer in the U.S. District Court for the Northern District of Illinois against claim of personal liability for federal employment taxes. The court ordered an award of attorneys’ fees against the federal government and in favor of the corporate officer for the government’s unjustified pursuit of the case. Volunteer Attorney, National Immigrant Justice Center Pro Bono Program.